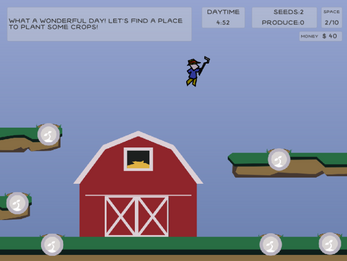 Platfarmer = part platformer, part farming simulator! Plant seeds, farm produce and return your crops to the barn before the end of the day. Don't forget to pick up seeds at the barn while you are dropping off crops - and be careful to manage your inventory carefully! 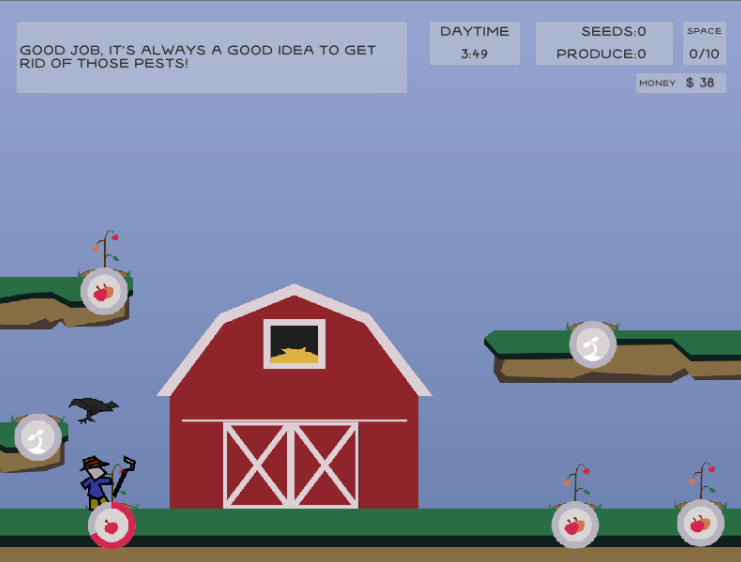 Scare those pesky crows away before they eat your produce! Move left and right using the arrow or A and D keys. 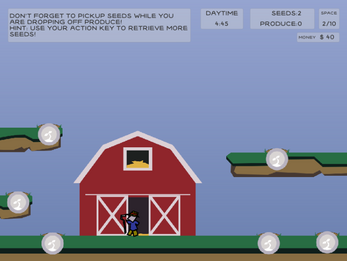 Plant seeds, farm produce and scare crows away with Left or Right Ctrl!